You searched for which does not fit your . We've redirected you to 117-814, which has the proper fitment. 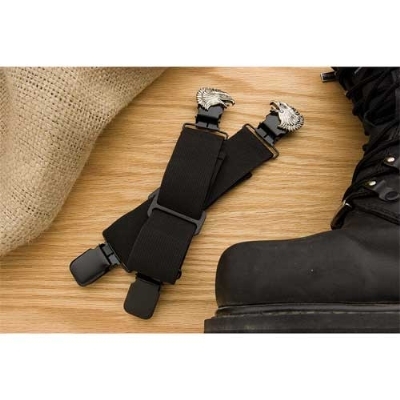 Love these stirrups, now my pant legs don't fly up to the top of my boots going down the highway. like the look but they always seen to come unhooked at the worse tlmes. I no longer use them. love them no more pant legs or chaps flying up. Love them. Bought for my husband to replace pair he had for the last 5 years. works great, not as much wind up my pants leg.